Form-Fit™ Seat Covers have been “Proof-of-Fit” tested for every model listed in our application guide. 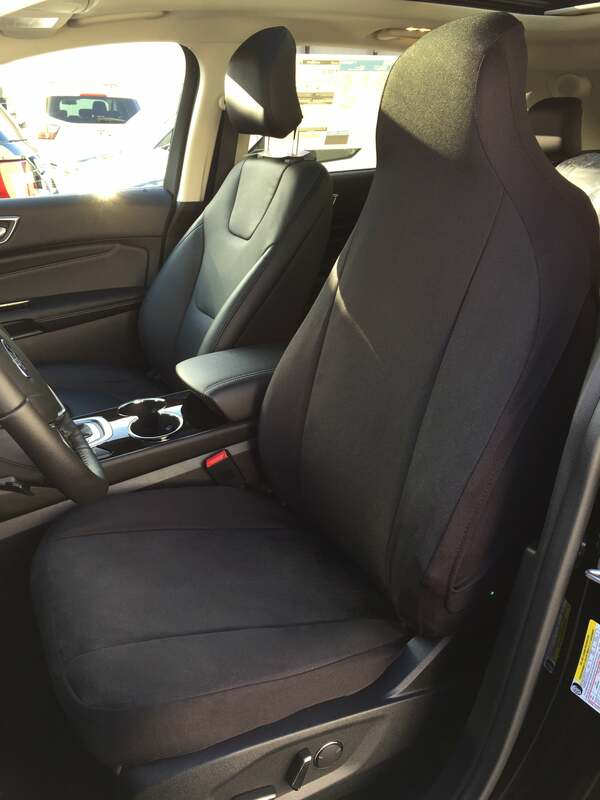 Some people might call it a Semi-Custom seat cover, but the truth is that it’s the most advanced Universal seat cover in the marketplace. It covers over your head rests, so simply adjust it to your preferred height before installing them in your vehicle. Small fits a SUV like the Escape or the Hyundai Accent Sub-Compact Car. 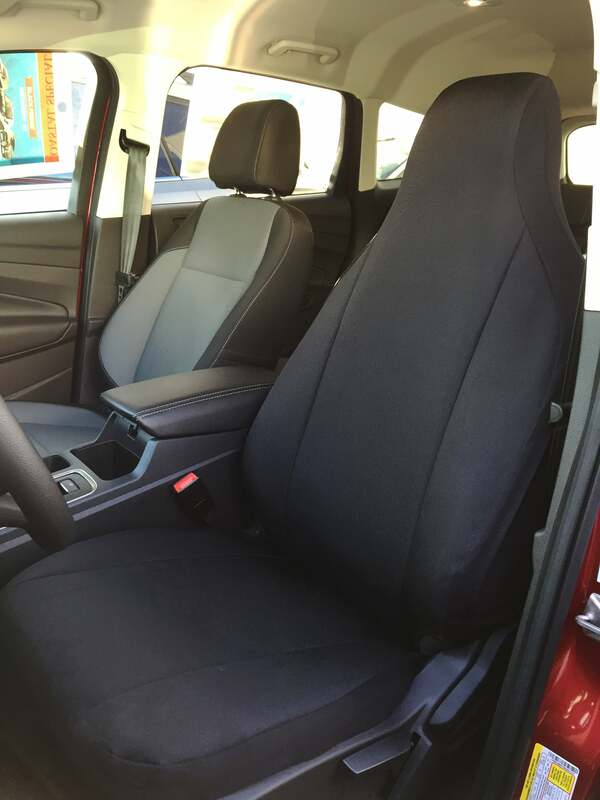 Medium fits a SUV / CUV like the CR-V or RAV-4 or Sedans like the Honda Accord and even the 2015-2018 Ford F150. Large size fits big vehicles like the Full-Size Ram, Nissan Titan, F-Series Super Duty, Jeep Grand Cherokee and even the Chevy Suburban. *Made with “Waterproof” fabric which is highly water resistant and features 2-Layers of water repellent protection. 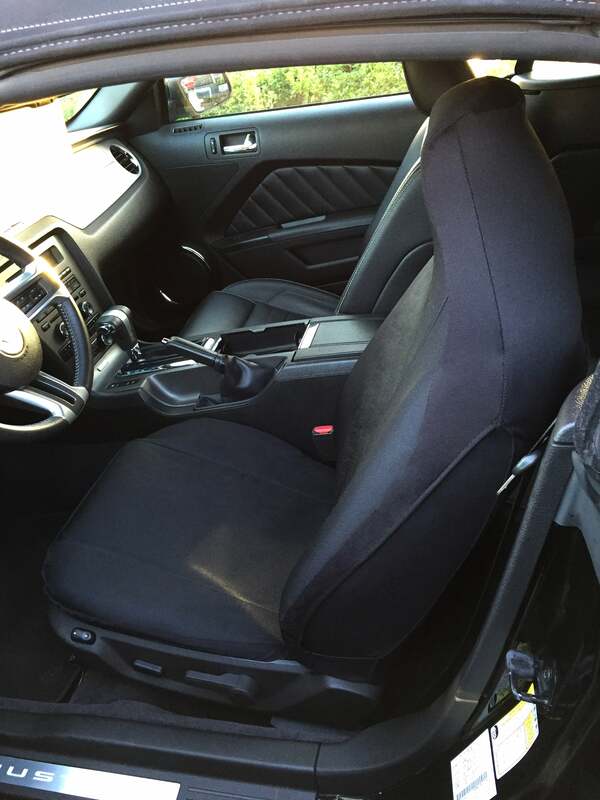 Form-Fit Seat Covers come with a 2 year warranty for fit, workmanship and normal wear.